The frequent use of water in the bathroom makes it extremely vulnerable for moist accumulation and potential waterdamage. By inspecting it regularly, you can reduce water related damages. Do not neglect performing these inspections and be thorough while performing them. 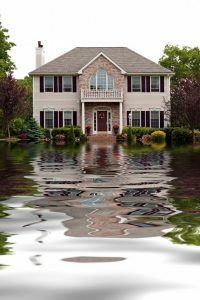 Keep in mind that these simple inspections can save you a lot of money by providing early indications for water damage. The shower and bathtub require special attention and maintenance. Check the tiles and replace if cracked. Make sure that there is no missing grout between the tiles. Inspect and replace cracked caulking at joints where the walls meet the floor or the bathtub. Clogged drains and pipes problems will prevent the bathtub from drying and may indicate serious problems beneath the bathtub. Consult with a professional immediately to prevent structuraldamage. Pay attention to discolorations or soft areas around the bathtub walls as they may indicate an internal leak. Signs for water damage are hard to detect since most pipes are installed inside the walls. Pay special attention to flooring and walls moisture and stains as they may indicate an invisible plumbing problem. Check moisture levels in adjoining rooms as well. Be sure to keep a close eye on blockages and slow draining drains. Call a drain cleaning specialist like A&M Service Plumbing immediately to avoid a major water damage issue. The toilet is a vulnerable water junction. Check the water lines and search for leaks around the toilet seat, in the hose, and under the water tank. If you detect any signs of moisture on the floor around the toilet, check for leaks in the toilet rim and tank seals. Be aware that hanging toilet bowl deodorants increases the chances for clogs.